Whenever us inland fellas visit the coast for a holiday, we pack our fishing rods in first. We heading for the coast with huge expectations to catch the big one, our better halves get their hopes up cause you are her man and she's so proud of you, but the reality is we not clued up enough and eventually land up taking her out to the local fishy restaurant for the promised FISH you were gonna catch and braai. She pats you on the back and says she still loves you but the ego is dented. When you pop in at your local tackle shop before you leave you actually at the mercy of the salesman and is he really providing and suggesting the right tackle etc, you in the mood and buy any nonsense they show you, ag no man enough is enough. In the freshwater section and more specifically Carp Specimen Angling, there is such good information relating to rigs etc. 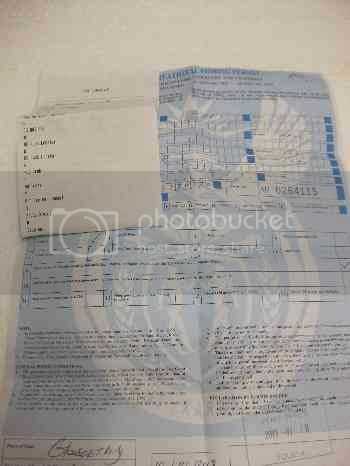 Is it possible to post a similar type of post giving guidance to Mr. Average Joe. What type and length of rod. 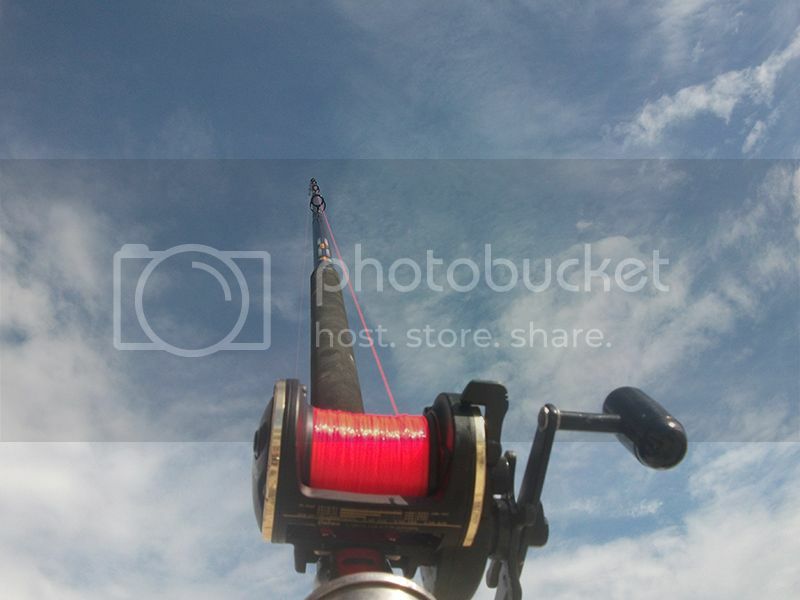 What type and size reel. 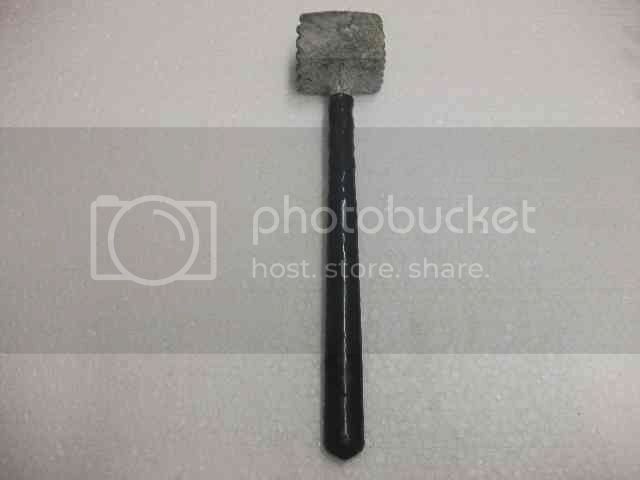 What type of line and strength. The leader. What should your rig look like. 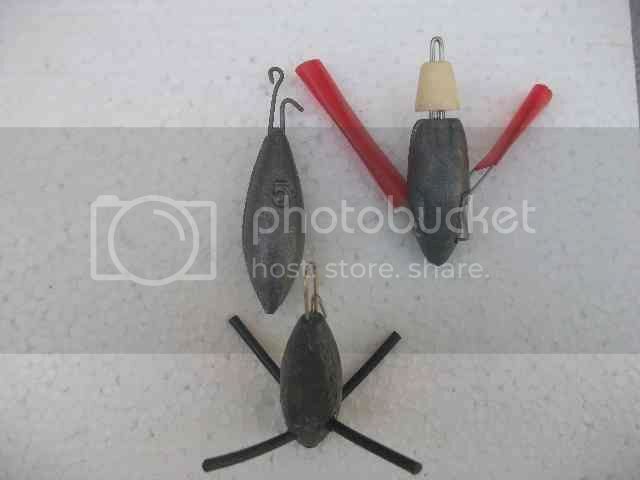 What type and sinker weight. Hook size. Does one still use a steel trace, if yes then when. An all round bait. Etc. When it comes to rod , reel, and line, it is mostly personal prefrence. Forinstance some use multipliers and some use coffee grinder, then there is the question on rod length . 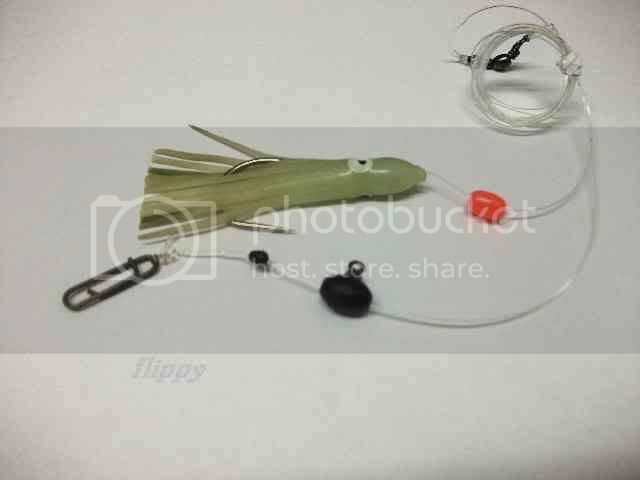 I think the easy is to go to a tackle shop and feel the weight, flex, length of a rod if it is comfortable and pair it with a reel that has a nice weight . ask the staff at the tackle shop to assist. 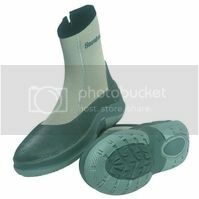 There is a tread that shows diffrent traces on sealine that will assist in what you are targeting. There is always alot of anglers that are willing to help, you just need to ask the right question. Plenty of info on sealine to get you on the right track, rather decide on what type of fishing you want to do and then post the question as you can use from a 6ft to 15ft foot rod from the surf depending what you want to catch. I feel your pain regarding salesman at tackle shops, eish they can sell people nonsense at some of the shops. Well what would u like to catch and where ? Otto I know that feeling. If I may make a suggestion. First sort out what species you want to target and where. Estuaries,surf, rocks etc. Then built your experience and expand from there. Learn about bait presentation, read the water. Have the right and necessary equipment. Than there is tactics, such a lot be learnt, but you are on the right track. Before visiting any venues try and source as much info as posible it does help. locals, newspapers etc. I've been lucky before on this forum. I'm no expert though. Agree with the guys.. anyway heres my take on it.. you might agree or not or have extra to add as i will leave out a good few bits and pieces. Rod: If you visiting two or three times at most the sea if you going for bigger fish/sharks then a 14ft rod capable of at least a 6oz sinker will be a minimum.. brands to look out and have a feel for without having to break the bank will be the BM G3 6-8oz rod.. capable of landing a lot you will encounter.. one or two others come to mind like the L&F Sharky have pulled their fare share of non-eds. If you fishing for the pan only then a 12ft rod should suffice.. brands that stand out are the BM G3 2-4oz rod.. Exage 1224 and the new Shimano beastmaster. If you wanna go a bit shorter then the Exage 110h and 100m are two excellent rods that fishes best with a reel in the 20 - 30 size for Daiwa.. Penn Fathom 15 or Shimano 15/30. The Daiwa 30 holding the most line of all mentioned. Specs Daiwa claim are 300m of 20lbs mono.. which is sufficent for most of the fish you will land.. add braid to the equation and its more. 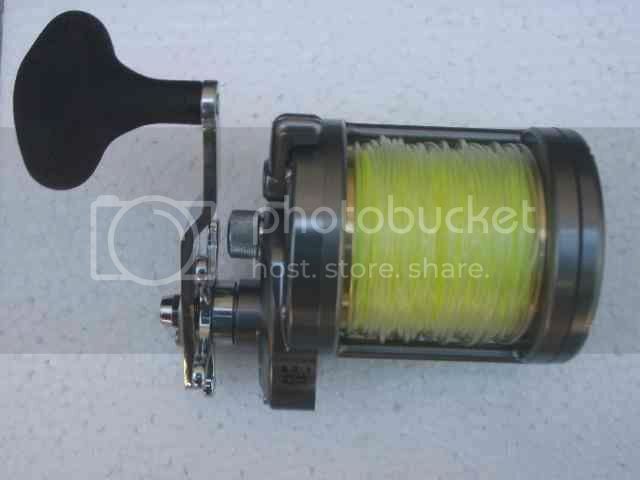 Heres a pic of the reel. 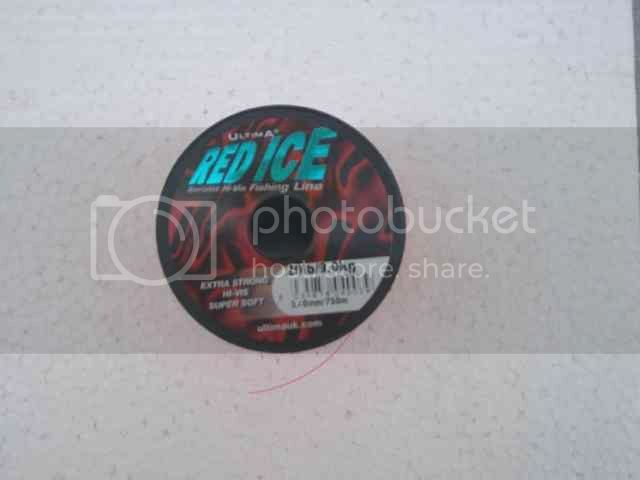 To this reel i loaded Ultima red ice which is a very nice casting line and can be used for sliding as well. It's 9kg test mono. 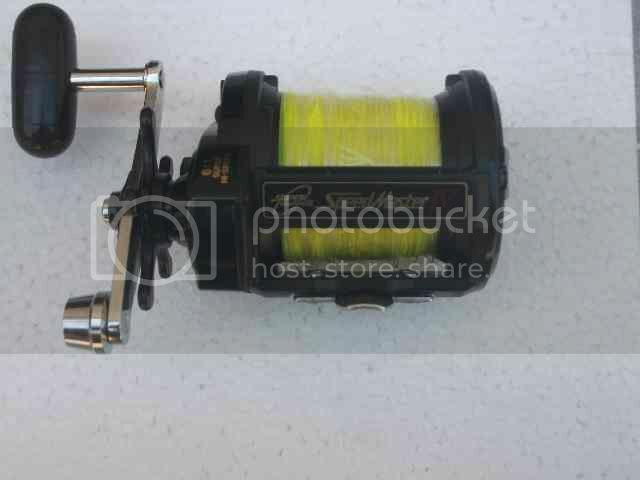 Other reels to consider is the Penn range of GS reels.. bit outdated by todays standards but gets the job done.. coupled with monster line capacity and fast retrieve ratio to help you avoid all those snags or keep the fish away from those snags.. it wont let you down.. heres a pic of one.. this my 525 Mag version. That covers your rods in the 11 - 12 ft range. For the longer rods in the 14ft range reels like the Daiwa sl50sh.. Torium 30.. Saltist 50 or Penn Fathom 30 & 40 will best balance this size rod out. 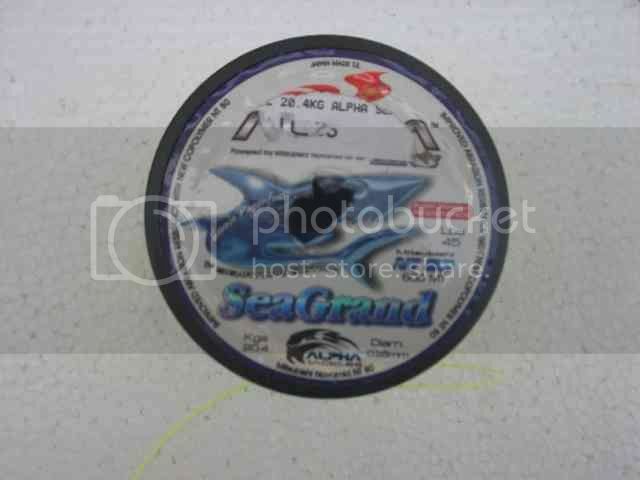 All these reels offer great retrieve ratio as well as large line capacity and here you can up the dia. 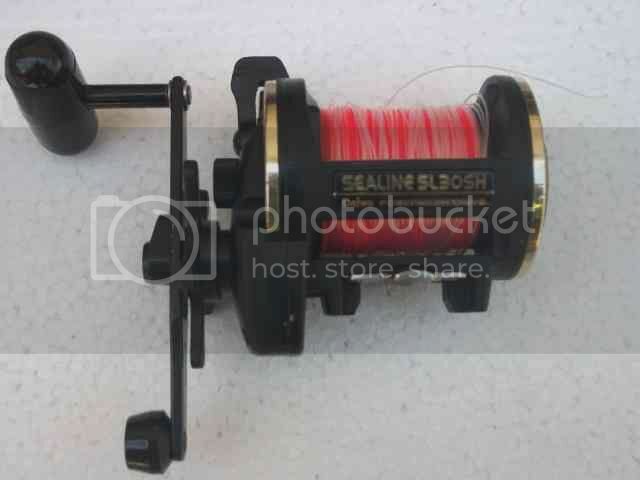 to the .52 or .55 range of lines as the extar line capacity allows you to walk in further and make a deeper cast and when back on the sand you wont be left with a almost empty reel.. also if something big picks you up you have the extar assurity you wont be spooled like with the smaller reels. A pic of some of the bigger reels. A torium 30 fitted with .55 seagrand line that has caught many a fish by anglers all over the country.. mine fitted with 1.9mm tapered leader (T-Line). As for drag washers the ones that comes with standard washes are okay but you might be faced with a situation where a fish of a lifetime is lost due to sticky drag. A lot of these reels are mass produced so there is a chance of failure. 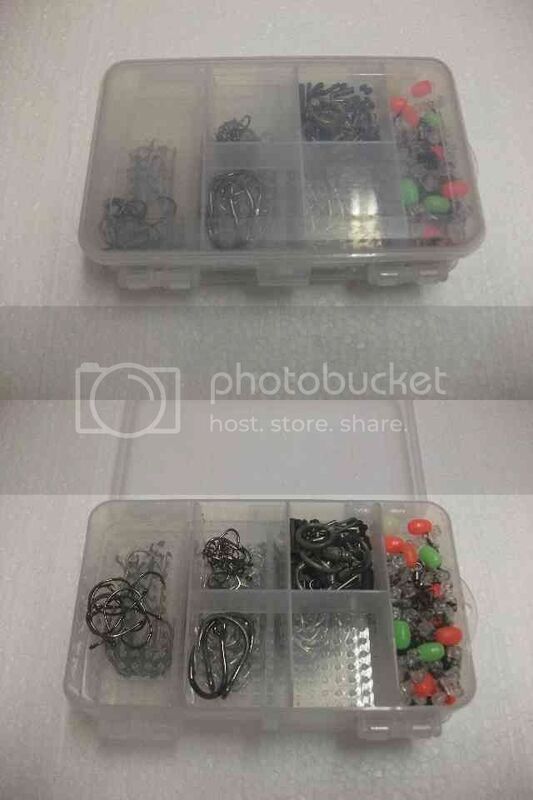 To better your reels performance in this field there is the range of Smooth drag washers available and some tackle stores in the Cape do fit them for free if you purchase a set from them..allowing you more peace of mind and worth the investment. 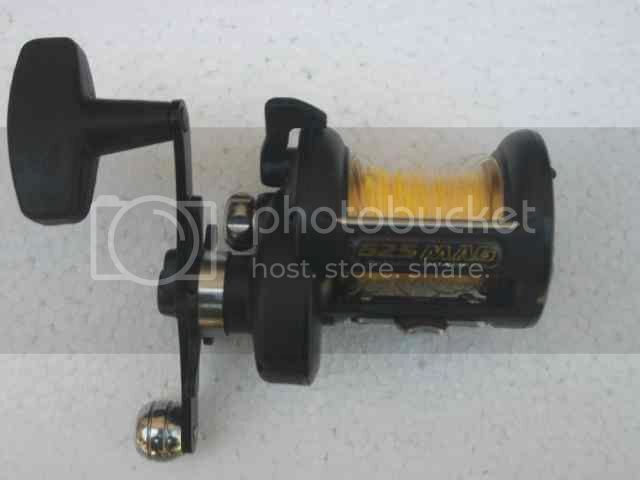 For fishing the reefs around Strand and Agulhas the Shimano speed master is a great reel.. super fast 6.1 retrieve ratio means keeping sinker or fish away from nasty reefs/ mussel banks.. fitted with .52 seagrand and .80mm shock leader its ready to fish and stand a good chance of landing something. For light tackle scratching as well as spinning a reel in the 4000 + size a necessity.. again line capacity is important as im sure you dont want to loose that once in a lifetime fish because your reel did not hold enough line. 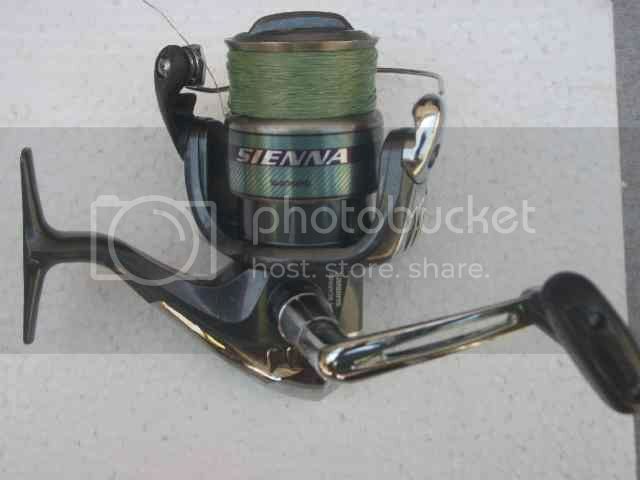 Pictured here is a Shimano Sienna 4000FD and though a entry level for a c/g it covers most of the fishing i will do with it as well as areas i normally fish.. but you never know with fishing. Fitted with 20lb spider wire braid. Rods for spinning or scratching will be in the 6'6 or 7'7 ft range.. ultralight being names like the Berkley cherrywood that cast drop shot tackle to 1/4 ounce sinkers or the medium to medium/heavy rods that can throw between 2 and 3oz sinkers lures. As for brands like CVDP once said some will swear by it whilst others will swear at it.. so for some brand x works but others found out it dont and that maybe cost them a fish or broken rod tip etc so shop around. Not sure what you already have but ill put up what i think is important. Caps very important to keep the sun from burning you to a crisp. I prefer (and will differ from person to person) cricket style hats for the less windy days.. advantage being extra shade it offers.. normal peak cap but with the neck protection for windy days when the cricket cap will be blown off but also cricket cap does not offer neck protection against the sun. 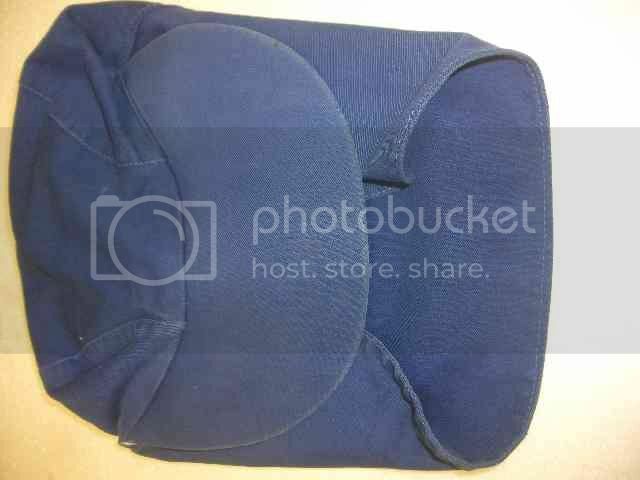 A pic of the cap i use. 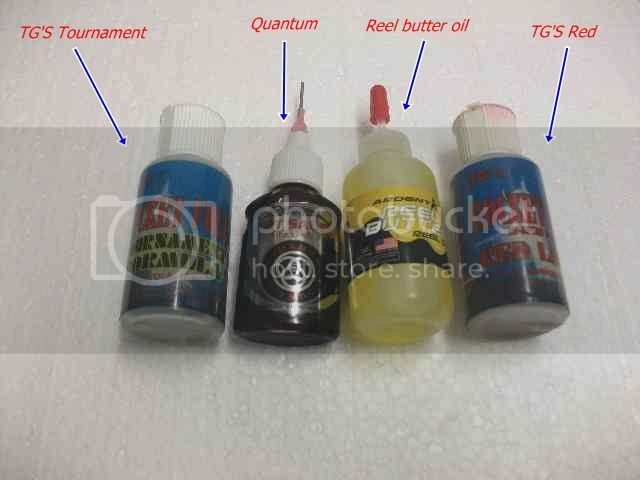 Since you fishing the coast less often you probably wont check it often.. oils to use will be the TG's range of oil.. as well as the Quantum oil.. most reels come with oil but nice to have a variety with to experiment. Apic of some reel oils i use. Live bait wells / bucket. Rod stands a great addition when you need to relax or bait up or scratching around in the gully's with lighter tackle for bait or reef fish. [EDIT] Inormally have two at hand.. this one the shorter version but not ideal when fishing places like strandfontein where bamboo is a major problem and can pull your weighted bait out and entangle it. For places like this i prefer the much longer s/s version to keep as much of my mainline out the water giving me a better chance of line not getting entangled. Two types i use. 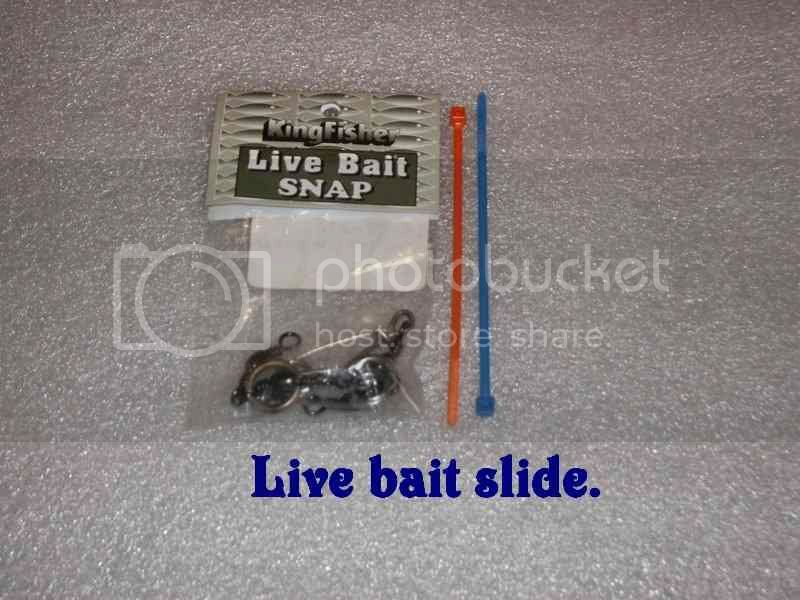 The Kingfisher live bait slide and monster slide for heavier baits. With the live bait slide i use the hardly mentioned or heard of Trilene knot. Can check the F.A.Q's for rig buid and knots. 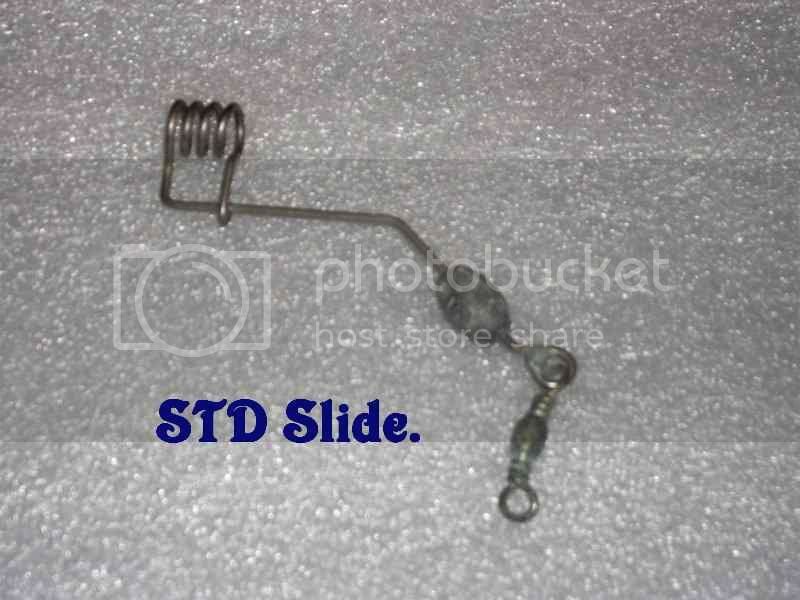 Important to have as it allows me to make up traces and save time at the beach if i break off. 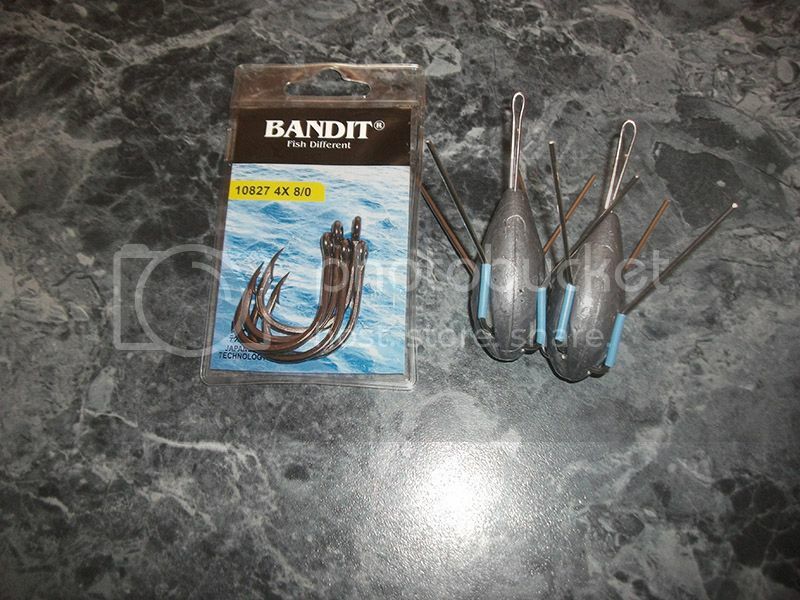 Also stores other bits like scissors and if you fishing braid then a braid scissors is a necessity. 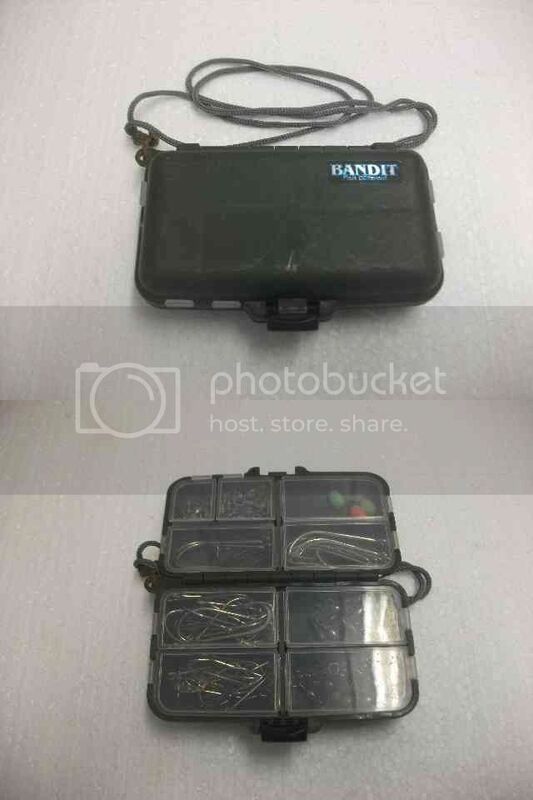 A pic of the tackle pack with made up traces and remember you can also but ready made traces for species like elf/shad.. kob.. steenbras.. galjoen.. sharks etc. 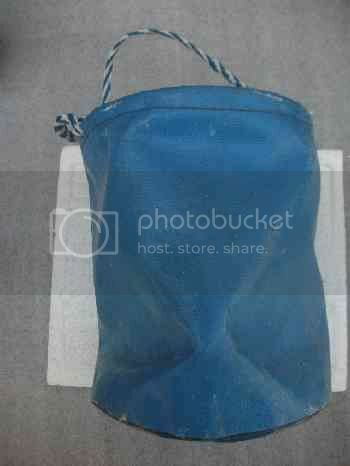 I have 2 tackle bags that i normally use. One being the kingfisher bag the other the teza tackle bag. The kingfisher i find more comfortable when carrying a load as it has padded straps which are very helpful walking long distances packed to the top with tackle. Only complaint i have if you could call it that is there are no space for your rod stands/ pension pipes which means you have to carry it as well as your rods. 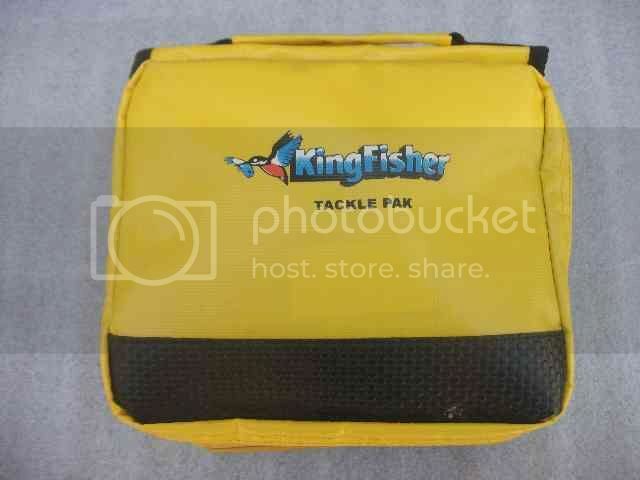 Pic of the kingfisher tackle bag. 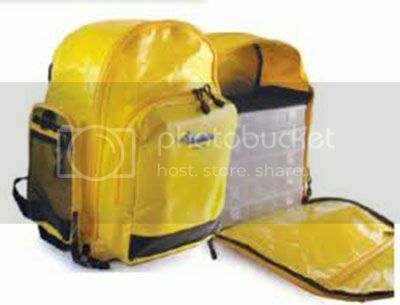 The teza tackle bag whilst being constructed of a metal frame is great for long distance walking as it has rod stands on the side of the bag to carry one rod as well as velcro straps on top with which to strap down a extra rod thereby freeing up your hands to perhaps only carry food etc with making life much more easier. 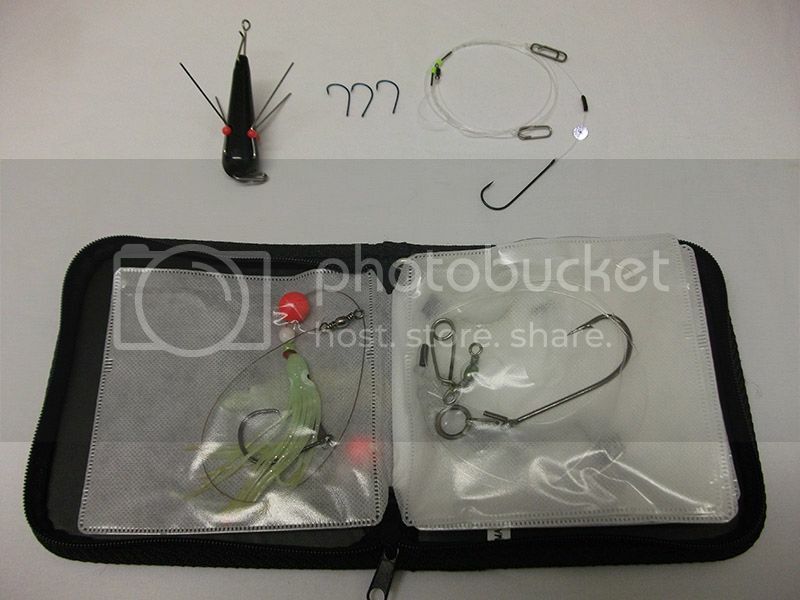 Only downside is with the metal construction it is heavier than the kf tackle bag also no pad straps and the metal frame tends to bite in your back making a long walk uncomfortable. 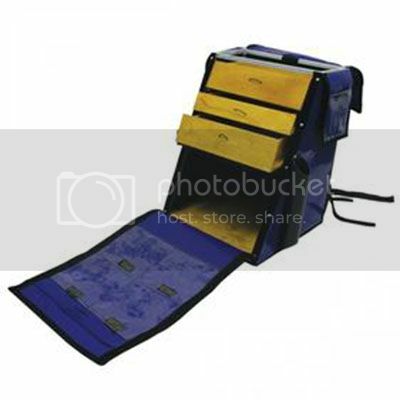 Pic of the teza tackle bag system. I normally store 3-4 different pliers in my bag.. one for heavy cutting like steel and others for lighter work. A necessity when making up traces. 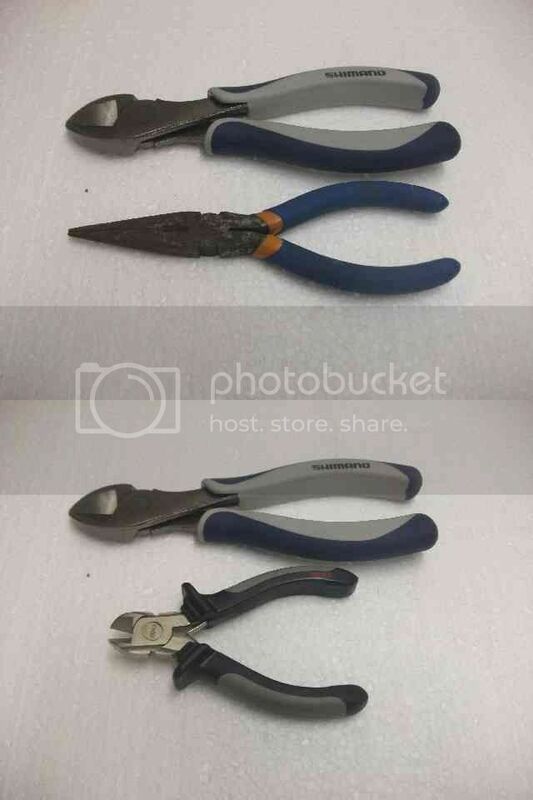 A pic of some of my pliers. The long nose also helps when you need to remove a hook thats a bit deep in the fishes mouth. 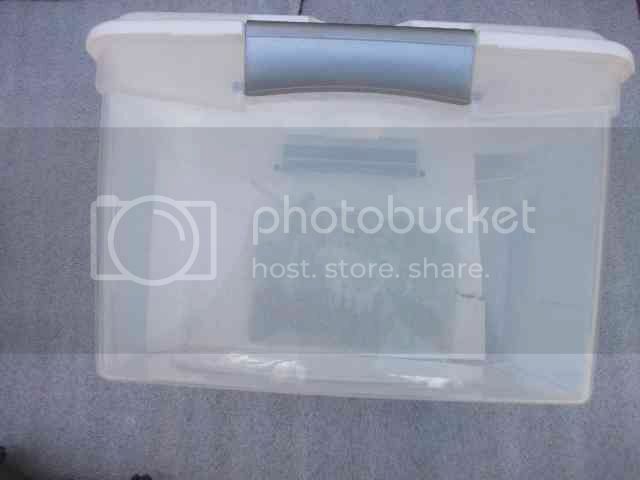 For swivels.. hooks etc nice to have these little tackle boxes to keep everything close by. 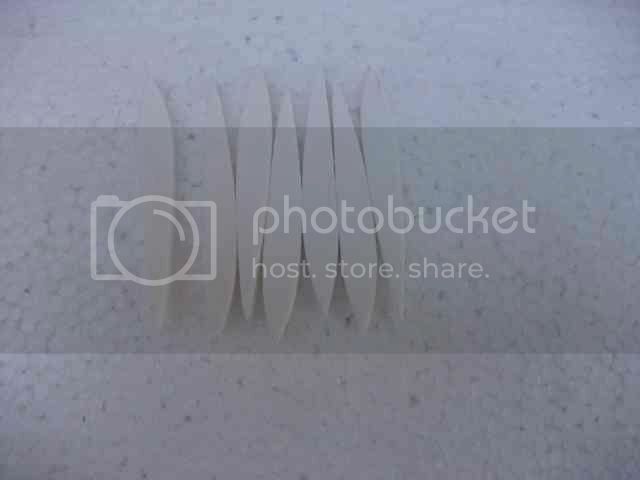 Pic of some. 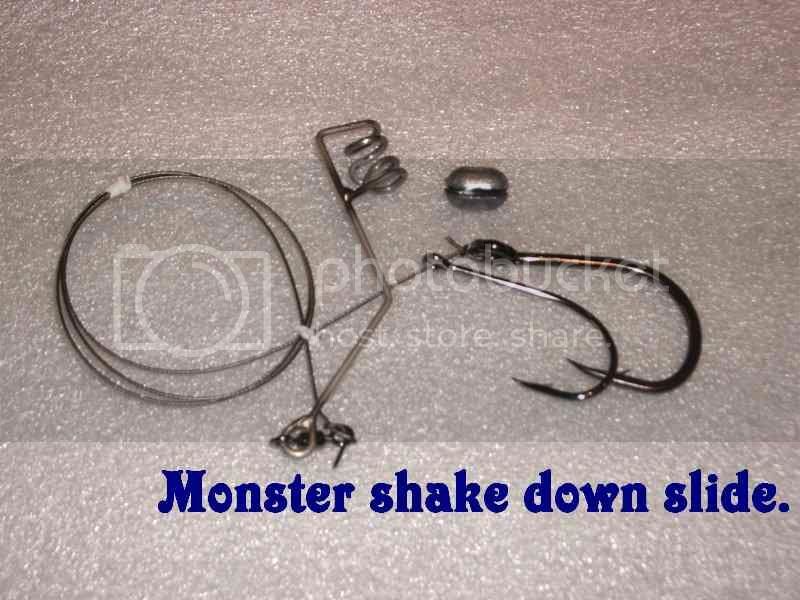 On of the neat little bits stored here is the Swivel Tee.. a size 5 swivel fits best and a nice way of rigging up your sinker. Handy to have if you using chokka and want to tenderise it more. 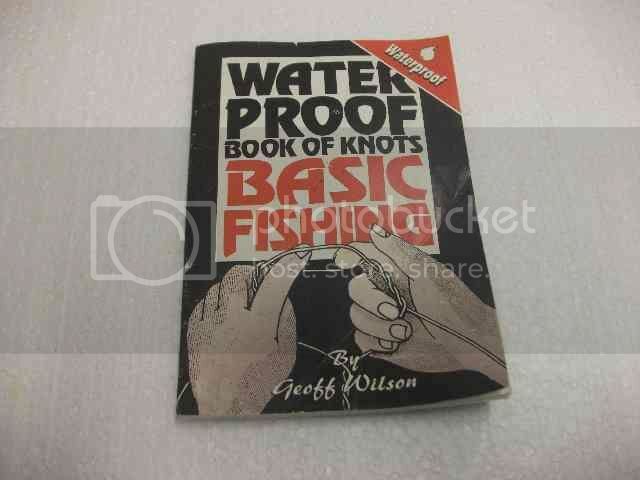 [EDIT] For knots a knot book like this one is great to have at hand.. if you break off and need to tie a leader etc can just refer to book.. this one also waterproof. If you dont have a safari style cooler box a Addis type version might suffice for a days fishing keeping your bats frozen.. ice brick will do no harm. Flotation nice to have if you want to keep your bait off the bottom and target species like kob.. and sometimes not having flotation on your hook is the difference between catching and not catching. Matched to your rods capability.. some for sliding and others for clipped down casting to aid distance. 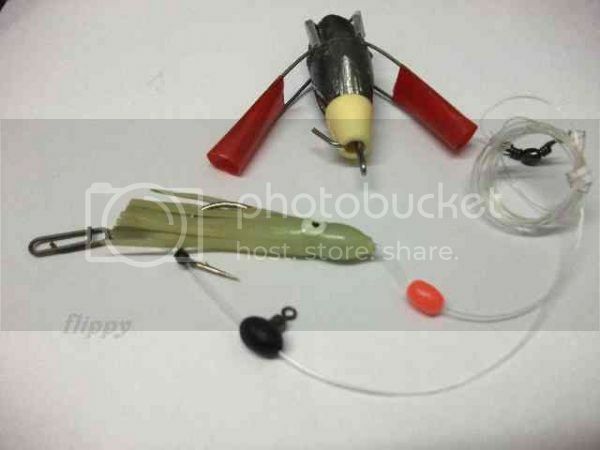 Pulley rig best suits the clipped down sinker.. lots of info on how to make it up available. Not as essentail as some other tackle but does have its uses. 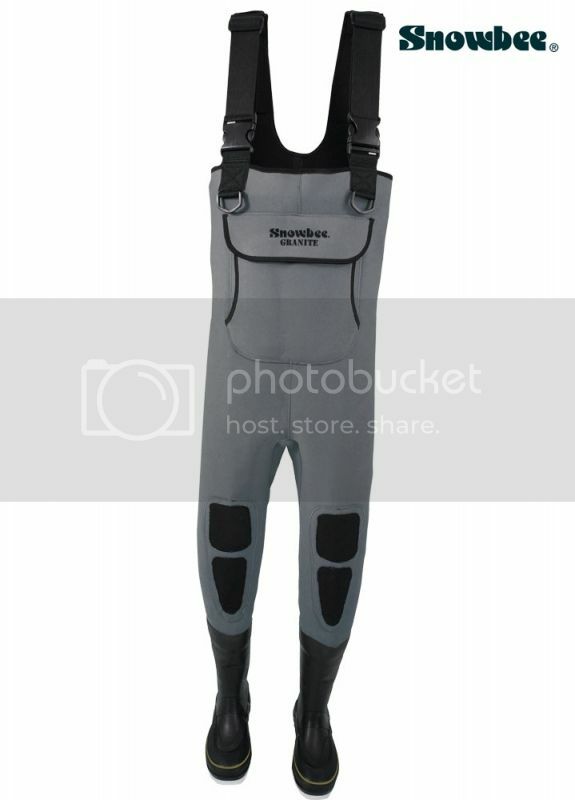 Two types normally available namely the plc type and the neoprene. Disadvantage of it being if you wading in deep and a freak wave catches you either you get dragged around or you have to literally undress to make sure you can get back to shore. 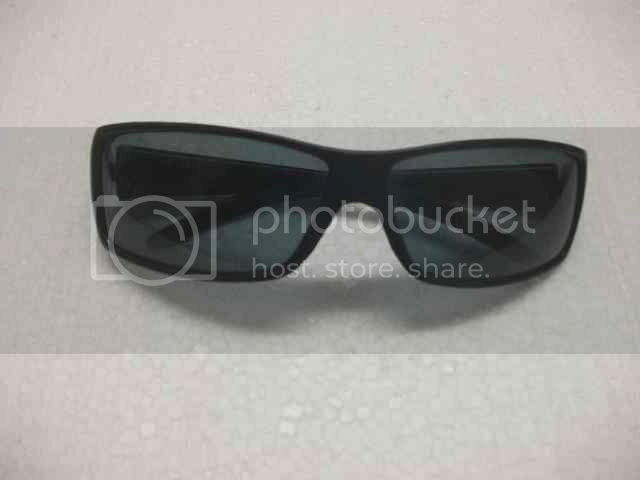 Also sunblock.. sunglasses as important.. preferably polarized where you can see those under water structures as well as protect your eyes. 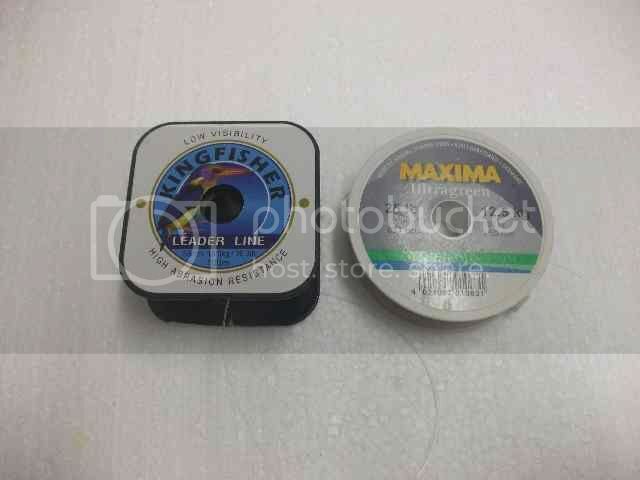 Night light's.. lumo lights important for night fishing. Latex cotton for securing your bait tightly. All these fir snuggly in a Kingfisher tackle bag.. probably seen it.. yellow in colour and i prefer it as it has padded strapping for your shoulders as well as padding for your back making carrying all this tackle a little easier. [EDIT] To end it off a permit is required whether it be for fishing.. bait collection.. east/west coast rock lobster or for cast net bait collection. Equipment: Seagrand 14, Kingfisher HMG full range + trini's and toriums. Best Catch: Still trying my best. Otto, also make the effort to meet up with someone like Enigma, based in Pta. His assistance will go a long way. Favorite Fishing Spot: Guns! Reefs! Betty's Bay! Geeeez!! !I haven't seen such a thorough post in a long time! Well done Flippy! That Ultima Red Ice is pretty good line too! Thank you for all the replies and advice. Great post Flippy! Stefan.. megesh.. Koper.. Otto.. Jakes 10.. stephan.chambers.. Ellafish.. thank you gents. How do I deal with a strong side current that keeps moving my bait to the side and eventually the waves wash it onto the beach? @ Otto - of all the things regarding saltwater the MOST important thing is are the fish actually there. Many anglers make it sound like for etc the cob are constantly biting in Dec in False Bay when in reality fish appear and disappear. Even the more experienced guys blank solid from time to time. So the best advice I can give you is find out what exactly is happening in that area, what bait (quality especially important) are they preferring and what type of structure (on the sandbank, in the gully etc). Those 3 things catch fish. 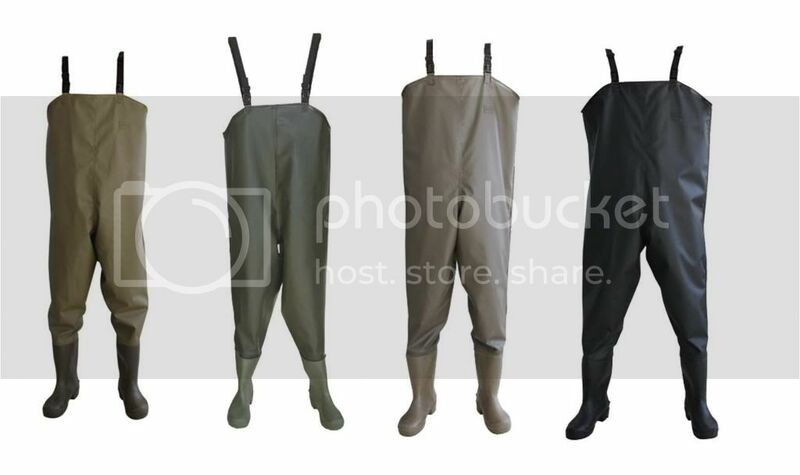 Yes you need all the tackle and the gear but too many anglers look the part but don't even get a pull. So in short you need a person who can guide you... Now here I gotta agree! !..Are the fish actually there when you are there?? ?...You can have all the best kit money can buy!! !...BUT...are the fish there ? ?....Buy one all round rod reel, line , some sinkers good fresh bait , find some friendly fisherman who knows the chosen area and GO FISH!!!! !....Well said Stefan!! !...Joker or not...I've been there done that!!! Great post Flippy, thanks for the effort!!!!! Flippy, a lot of effort went into it, great post. I too agree that one have to look at where you want to fish. DBN is much different from CPT and so on. Otto, you were asking about being washed out down the beach. Where we fish, there is strong roll and under current, so it often happens if you are not geared properly. One normally try go for tackle as light weight as possible, but only if circumstances allow. 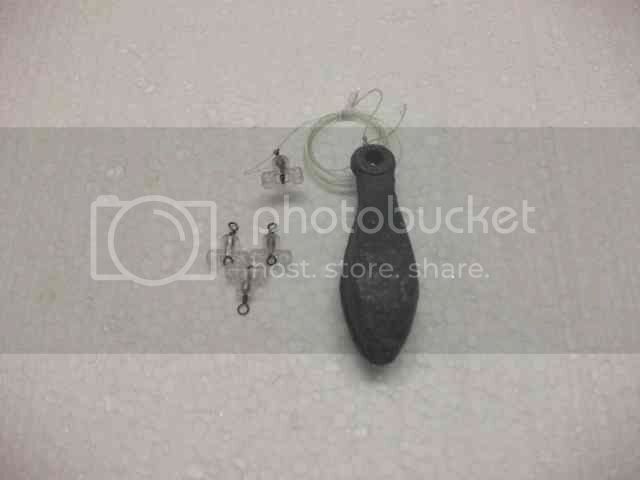 Other parts you might find guys fishing with 3oz sinkers, we cast 6oz. 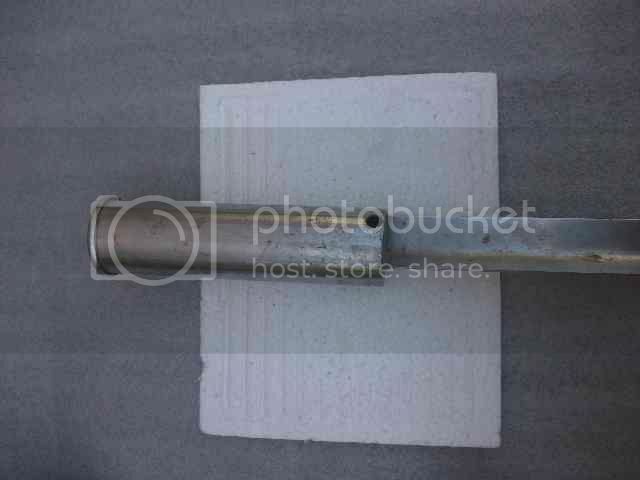 I prefer a 6oz nylon grapple, but if the water is extra strong, even that gets rolled and washed. 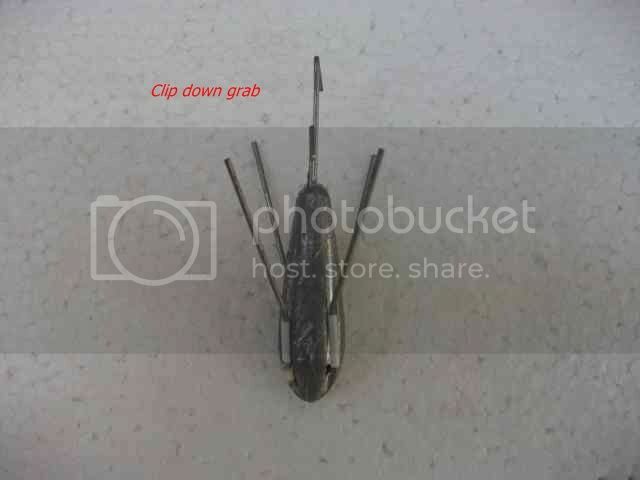 If that happens, I would change to 6oz wire grapple, which grips better than the nylon. In Durban you can get away with using 3oz pyramids, lucky them, ha ha. To prevent getting washed out, use grapples, remember wire grips stronger than nylon and you can try increase sinker weight if your rod can handle it. Again, it is more area specific, I know that where I fish, I need 6oz, so my rods are all in the range of 4-8oz. If I want to go fish somewhere else where less weight is required, I can change to the lighter tip.